I was checking out Amazon the other night and noticed that there were some new place-holders on the site for American Girl doll published items. Here are some that looked interesting to me, there are more publications so be sure to check them out for yourself. The above Doll at Work play set looks interesting, Zoey always has fun with those type of activity sets. There are several new quiz books which the girls always have fun with at sleepovers and play dates. Zoey always loves asking me the questions too and I have to admit it's fun to see what her choices are for the quizzes too. This looks fun for those that love to color, design and draw...it would be fun to get a peek at what's inside this book before purchasing. This series of books are enjoyed in our house...there are two new ones it looks like for this upcoming release. And Zoey is excited for the new Inner Star University books. These are quick and easy reads but she loves that she can re-read them over and over again getting a different ending by choosing different situations throughout the books. Something new that I discovered was a series for Bitty Baby! This is so exciting, they look so sweet and I love the illustrations on the cover. I have a feeling these will really take off since reading to this age target market is spot on. I even want to know what the stories are and I don't have any little ones at home anymore! I also spied some book sets that included some little stuffies for Bitty that are also pictured in the story books. So sweet! 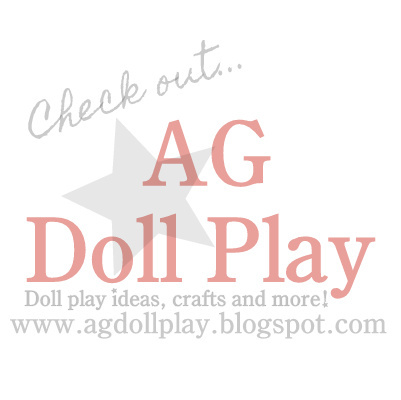 I hope you enjoyed some little peeks at the upcoming American Girl releases...I can't wait to find out what the releases will be for the dolls!! So fun! I want the personality book and the Bitty books look so cute! How exciting! :) I think Doll at Work and Design by Me look the best. I'm interested in seeing how the Bitty Baby line will do! really cute! i hope to get doll work.